Jewish Carnelian Intaglio Amulet For Good Luck is a sculpture by Anonymous artist which was uploaded on January 13th, 2010. Jewish carnelian intaglio amulet inscribed in Hebrew A good sign for the birth of a daughter. Size 8 mm. Rare. Excellent condition for the age. This original sculpture is currently for sale. At the present time, originals are not offered for sale through the Fine Art America secure checkout system. Please contact the gallery directly to inquire about purchasing this original. 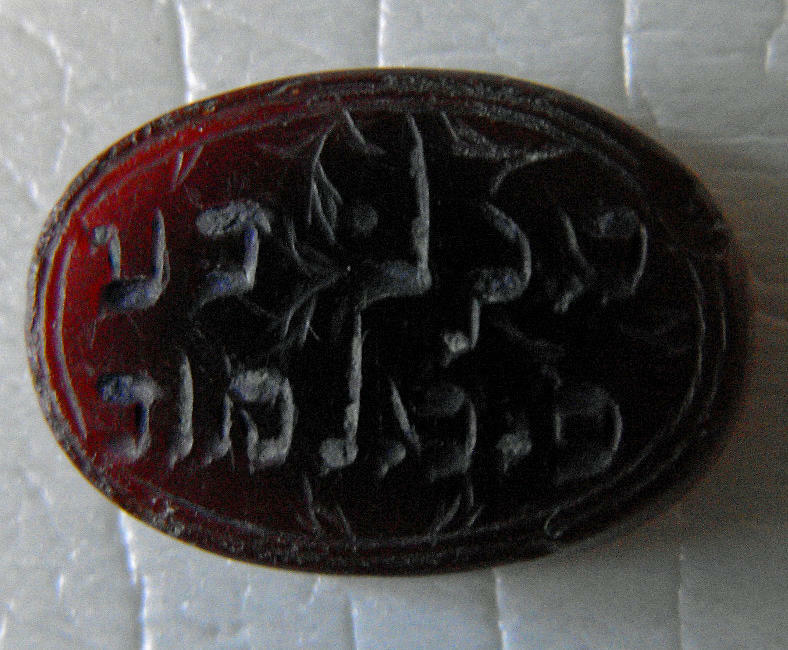 Jewish carnelian intaglio amulet inscribed in Hebrew "A good sign for the birth of a daughter". Size 8 mm. Rare. Excellent condition for the age. There are no comments for Jewish Carnelian Intaglio Amulet For Good Luck. Click here to post the first comment.